October 17, 2017 (Joseph Thomas - NEO) - At a time when US political leaders decry with little evidence what they claim is a pandemic of "Russian interference" in Western political affairs from Western Europe to North America, years of documented evidence exist of this very same interference in the domestic affairs of other nations around the world, funded and directed not by Moscow, but by Washington D.C.
Across Southeast Asia alone is an interlocked, deeply rooted and heavily financed network of American-backed agitators and propagandists, operating behind the cloaks of journalism and rights advocacy, working to upend local, independent political institutions and replace them with a system created by and serving exclusively the interests in Washington that created them. The Manila Times in a recent article titled, "CIA conduit funding anti-Duterte media outfits," would shed light on US government money being channelled into the Philippines for the explicit purpose of manipulating public perception, particularly regarding politics. The article cites the National Endowment for Democracy (NED), and its grantees, the Philippine Center for Investigative Journalism (PCIJ), the Center for Media Freedom and Responsibility (CMFR), and the Vera Files. Even if NED wasn’t a CIA conduit, it is an institution funded by the US government, and therefore advances US interests. Shouldn’t we be outraged that the US government is funding anti-Duterte media outfits here? 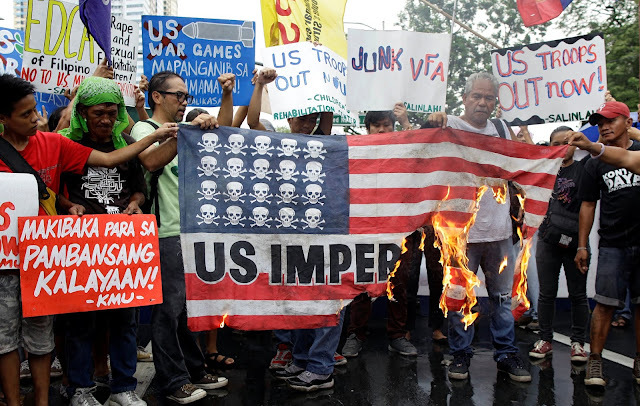 It also points out that this US interference in Filipino politics fits into a much larger, global pattern of political interference engaged in by the US government. The article cites US interference in Ukraine in particular, noting that it was US backing that eventually led to the overthrow of the elected government there between 2013 and 2014. The article's author, Rigoberto Tiglao, attempted to contact several of the Filipino US NED grantees, only to be confronted or evaded, a response typical of US NED grantees worldwide when questioned about their foreign funding, the dangerous conflicts of interests they are indulging in and the contradictions of posing as independent media organisations entirely dependent on foreign government funding. Pressure on the Philippines through US-funded media is only one of several fronts the US is using to transform, direct and determine the future of the Philippines as a nation. It has placed direct political pressure on Manila to cooperate in confronting Beijing over the South China Sea. 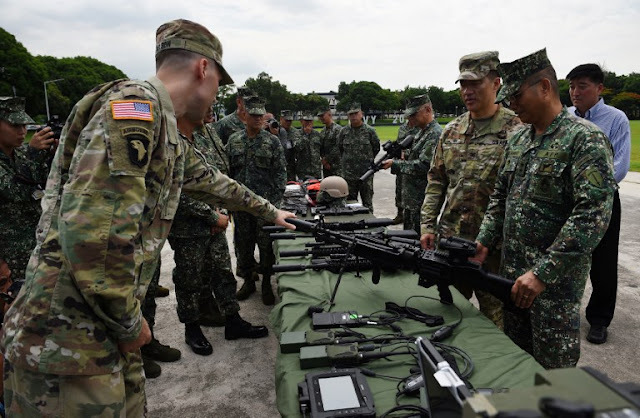 It has also attempted to use Saudi-funded terrorism in the Philippines' south as a vector to reintroduce a significant and expanding US military presence across the archipelago nation. The use of terrorism as both a pressure point against Southeast Asian states and as a pretext for a US military presence is a tactic the US is attempting to reuse everywhere from Indonesia and Malaysia, to southern Thailand and neighbouring Myanmar. So is the use of US NED-funded organisations operating under the guise of independent journalism or rights advocacy. 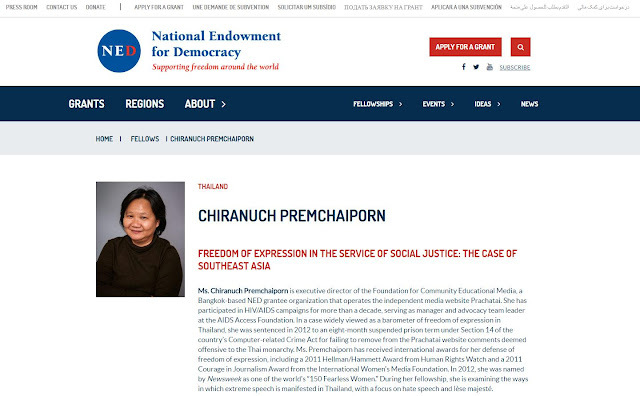 Thailand faces a similar landscape of compromised opposition organisations posing as independent, yet entirely funded by the US government and US-based corporate foundations. These include Prachatai, Thai Netizens, the New Democracy Movement, the Isaan Record, Thai Lawyers for Human Rights and even the Foreign Correspondents' Club of Thailand (FCCT). Like their Filipino counterparts, they pose as proponents of democracy and as human rights advocates, but cover current events in a transparently one-sided manner, excusing or omitting abuse and corruption among the opposition and targeting only Thailand's independent institutions, particularly the military and the monarchy. In Cambodia, US government funding goes one step further, funding the entire opposition, hosting them in Washington D.C. and creating an entire media network to skew public perception in favour of this foreign enterprise and the interests that propel it. Recently arrested opposition leader, Kem Sokha, got his start at the US State Department and Open Society-funded organisation, the Cambodian Center for Human Rights (CCHR). He would later enter politics, but would continue collaborating directly with the US government, travelling to the United States annually to conspire openly with US representatives to overthrow the Cambodian government. And, the USA that has assisted me, they asked me to take the model from Yugoslavia, Serbia, where they can changed the dictator Slobodan Milosevic,” he continues, referring to the former Serbian and Yugoslavian leader who resigned amid popular protests following disputed elections, and died while on trial for war crimes. “You know Milosevic had a huge numbers of tanks. 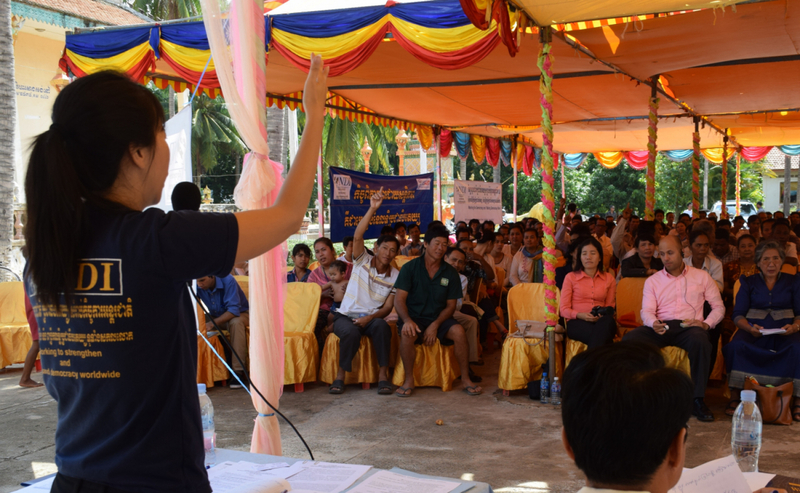 But they changed things by using this strategy, and they take this experience for me to implement in Cambodia. But no one knew about this." In essence, while the US tenuously accuses Russia of buying Facebook and Google ads, it is openly engaged in overthrowing nations around the world. In Southeast Asia, these efforts are often interlinked, with US-funded organisations in one country supporting and helping to amplify the activities of another next door. Myanmar's Aung San Suu Kyi and her National League for Democracy (NLD) political party's ascension into power is an example of where exactly US ambitions will lead if unchecked. With the current government in Myanmar quite clearly disinterested in either democracy or human rights, considering the burgeoning Rohingya crisis, it is proof positive that US-funded interference merely operates behind the façade of such principles, and in no way actually seeks to uphold them. Many NLD party members are former heads of organisations funded by the US government, while others are the recipients of US NED-funded training programmes. The current Minister of Information, Pe Myint, received NED and Open Society-funded training at the above mentioned FCCT in Bangkok. Myanmar is being run by a government handcrafted by US money and interference. It is a government being pressured to turn its back on neighbouring China in favour of US plans, particularly those of its industry and financial institutions. It is also a government currently creating a humanitarian crisis that has opened the door to US-Saudi funded terrorism, a potentially larger conflict featuring brutal violence, all leading to a potential opportunity for a US military presence in a nation that directly borders China. If allowed to, the US will transform the rest of Southeast Asia into either cooperative client states, or divided and failed states. In either scenario, it will create a united front across Southeast Asia vis-à-vis Beijing that will complicate China's rise both in the Asia Pacific region and upon the global stage, buying time for the current ruling hegemon to consolidate its position or even reassert itself. In many ways, America's own imagined war against Russian influence gives governments across Southeast Asia the perfect precedent and pretext to push back. 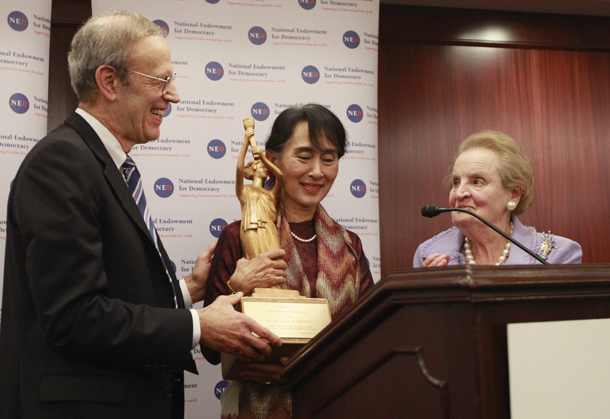 Cambodia has already expelled the National Democratic Institute (NDI), a subsidiary of the US NED. It has also tightened laws regarding foreign-owned and foreign-funded media organisations. Opposition members who have openly and for years flaunted their foreign sponsorship are now being arrested and tried while their political parties are being disbanded. As governments expose and uproot foreign influence from the region, it is equally important for Southeast Asia to fill sociopolitical game board with its own pieces regarding social networks, charity organisations, media (both domestic and international) as well as rights advocates. The price for genuinely putting government corruption in the spotlight and in relative check is easily offset by eliminating the shadows foreign-backed opposition parties have used to systematically undermine regional interests for decades from. Russia and China, the two primary targets of US interference both directly and by disrupting their peripheries in regions like Eastern Europe and Southeast Asia, have implemented a wide array of countermeasures. Governments in Southeast Asia should consider them each in turn and how they could be adapted best to protect sovereignty and stability at home and across the region.